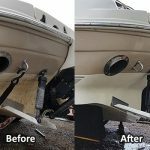 Will VS721 Bottom Coat work on trailer stored boats? Will VS721 Bottom Coat work on trailer stored boats? 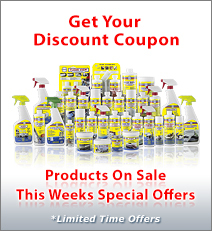 I boat in both fresh and salt water and have been looking for a bottom product that will protect the hull in both areas from stains and bottom critters. Thanks for your help. VS721 Bottom Coat works well on trailer stored and rack stored boats. It also works well in both fresh and salt water. VS721 Bottom Coat is a very durable polymer that is impervious to water and extremely resistant to abrasion, such as you can get from trailering. 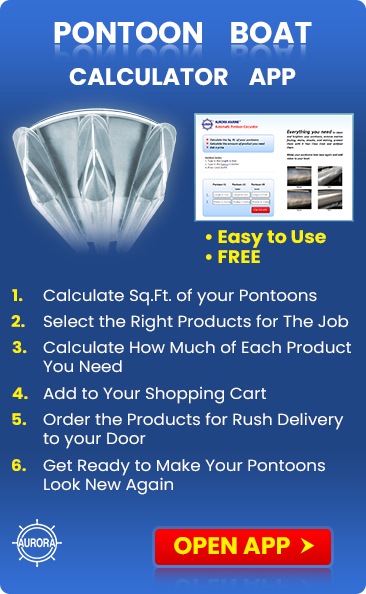 It will last all season, can withstand speeds up to 145 mph and can be used on fiberglass and aluminum power boats, pontoon boats and sailboats. Often times trailered boats are left in the water for a few days, a few weeks or even for a month or two. Boat owners really appreciate how clean the hull remains and how easy it is to remove any slime, dirt and salt that may have attached simply by rinsing with a garden hose or wiping down with a wet sponge. In cases where you have heavy slime build up, even if it dries on, you can easily remove it with a 1:4 solution of Boat Clean Plus and water and a sponge. You will love the clear shiny appearance of your hull. Many boat owners tell us that it improves the appearance of a brand new boat and restores the look of older boats to like new again. The finish is diamond hard and will not rub off on your trailer or your skin if you touch it. It is inert and will not contribute to polluting the environment. It also makes it difficult for larvae to attach so that you will reduce the chance of transferring non-indigenous species from one body of water to another when you move your boat. Some of the extra benefits you will get from using VS721 Bottom Coat, in addition to keeping the dirt and critters off the bottom, are: It seals the bottom against water permeation protecting it from osmosis blisters. You will get faster and easier on plane, higher top speed, better acceleration, better handling, and reduced fuel consumption. You will also find that it is much easier to haul and launch your boat due to the reduced friction between the bottom of your boat and the bunks or rollers on your trailer. You can use the VS721 Bottom Coat on the lower leg of stern drives and outboards, trim tabs and all underwater fittings and instrument sensors to protect against growth. There is no danger of corrosion from electrolysis as there is no copper or other heavy metals in the product. Do not put it on the props. It is so slippery that the props will cavitate and you will loose speed. Staining will be eliminated or reduced, if it is from an organic source. Often times however, staining is caused from chemical pollutants in the water and this can stain the VS721 Bottom Coat. If this should occur, it’s comforting to know that the wax is protecting you boat. It will take the stain rather than your boat and can be stripped and re-applied at the end of the season, without damage to your hull.